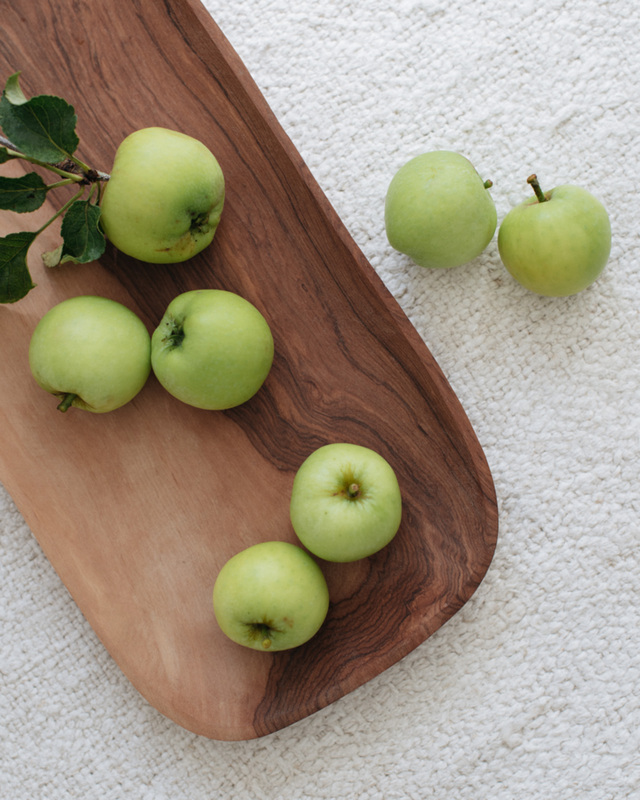 Tiny and sweet, I love picking up the first apples fallen from the tree. After a few weeks, you have to get creative to have some use for all the fruit. 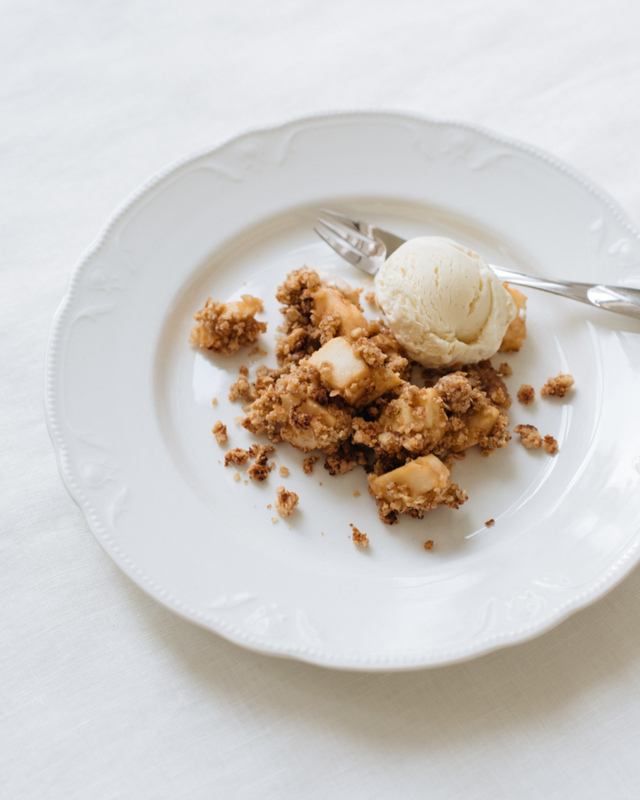 Apple crumble served with Jymy organic vanilla ice cream. All these apples, everywhere. We have only one big tree in our backyard and still we have more apples than anyone could possibly eat. So let's have apple crumble for dessert. It feels lighter than pie and is super easy to make. Squeeze two tablespoons of lemon juice into a cooking pan. Add two tablespoons of sugar. Make the crumble. Place the oats, flour, sugar and vanilla bean powder in a bowl and mix well. Add the butter cut into cubes and mix with your fingertips until you get an even crumb texture. Add a little bit of flour if needed. Cover the apples with the crumble mix and bake for approximately 20 minutes, or until the crumble is crisp and golden. Let the dish cool down without covering it to prevent the crumble from getting soft and moist.